These Grand Prix front zip breeches feature a euro seat for added comfort when riding with traditional knee patches. The modified rise is not too high but still gives you a little more coverage than low-rise breeches. 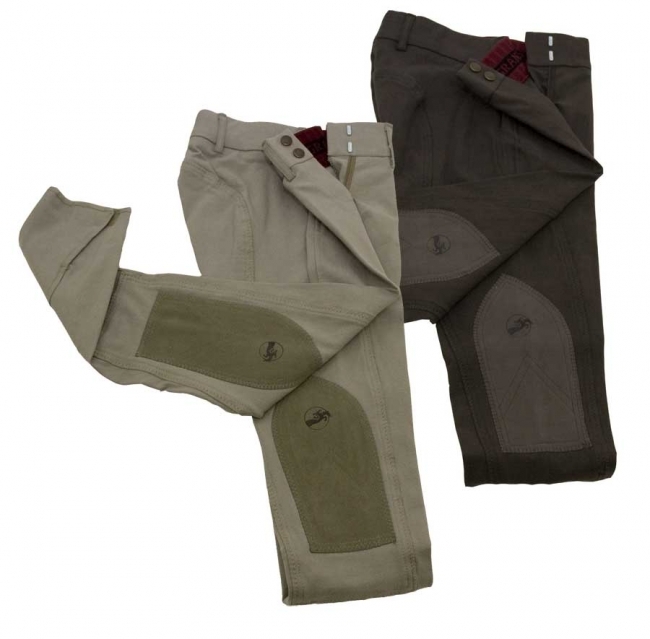 Made from Dorlastan these breeches are form fitting, supple, and comfortable to ride in. A great all around breech.